The competition, opened on occasion of the second anniversary of Hurricane Sandy, which 2012 hit the East coast of the United States, causing over 65 billion dollars of damage, saw the participation of 50 highly qualified international teams. Among the 50 proposals received, the jury of international experts, university professors and US public officials, selected the “Total Resilient Approach” hypothesis presented by Thetis SpA of Venice, entering it in the short list of the 3 final proposals to be judged in the 2nd stage of the competition to select the best total resilience development project for the bay of Boston. 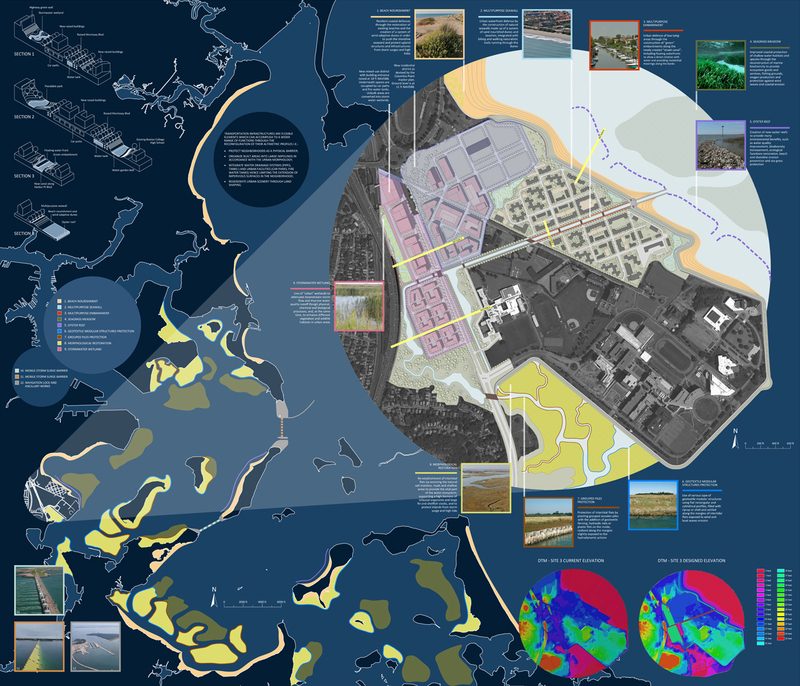 The proposal, drawn up by the technical experts of Thetis, in collaboration with those of Consorzio Venezia Nuova, in the short to medium term envisages the urban development of Boston, implemented according to paradigms of environmental resilience and co-evolution to adapt to climate change, transforming the urban infrastructures into flexible elements used for environmental requalification and social cohesion, and integrating embankments that become multi-purpose environments. In the medium to long term, to raise Boston’s levels of resilience, Thetis proposes to produce a system of mobile barriers that embrace the entire bay, designed to temporarily protect the city from rising sea levels and extraordinary events, such as a hurricane or tsunami, without limiting tidal revitalisation and goods traffic, by virtue of the experience gained in Venice to safeguard this city and its lagoon.